It wasn’t so long ago that Hewlett-Packard looked like a hardware company fundamentally transforming itself into a software company. Until former CEO Léo Apotheker was fired by the company’s board of directors and replaced with current CEO Meg Whitman, the official line at HP was that the way out of its troubles was to divest itself of things like PCs, and invest heavily in software. One expression of that strategy, and a controversial one at that, was the nearly $12 billion acquisition of the British software firm Autonomy announced 13 months ago. HP ultimately didn’t spin off its PC business, but its acquisition of Autonomy stuck. Now it’s firmly part of HP’s software business. As CEO Meg Whitman struggles to turn HP around, software is still a key part of her plans. While Whitman has made no secret of her opinion that Autonomy needs attention, there are some solid bits of HP’s software business like Vertica and ArcSight that are showing significant promise, if only they could grow. Finding a way to get them growing is the job of George Kadifa. In June HP named him as executive vice president and head of the company’s Software business, and a member of its executive council. Kadifa knows a bit about the software business. He spent seven years as a senior vice president at Oracle, and then ran his own company, Corio, for six years until it was acquired by IBM for $182 million in 2005. From there he went to investment firm Silver Lake, where as partner he pushed portfolio companies to improve their operations. Kadifa sat down with AllThingsD last week at the software unit’s new headquarters in Sunnyvale, Calif. for his first interview since joining HP. We talked about how he plans to fix is weaknesses, improve its strengths and make software a more sizable piece of HP’s overall business. 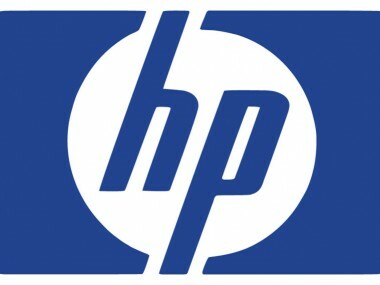 AllThingsD: George, you joined HP to head up its Software business unit in June. You’ve reached the 100-day mark, so give us your assessment of where you see things now and where they’re going? Kadifa: A lot of good things are happening. We’re at about $4 billion in revenue, so if you look at HP Software as its own business, we’re the about the fifth or sixth largest software business in the world. We have a great customer base that is, having worked at IBM and Oracle and now HP, customers really like us, versus previous experience. And we have a lot of products. A lot of them we acquired rather than built in house. Among the recent acquisitions, Vertica is one where the consensus seems to be that it was a pretty good deal. Where do you see Vertica going in particular and what sets it apart? One is the technology, which we think is second to none. When you think about it, the idea of taking data in columns and then arranging it in a row fashion. It seems like sort of a trivial difference. But it’s really an unbelievable what it gives you in terms of capabilities. Say you’re storing a thousand names, you’ve got first names and last names. Let’s say five of those guys are named Erik. Normally you’d store five Eriks in a column. But here, instead of listing the name five times you make a note above it with a five so you know the name occurs five times. Now when you search through that list it’s so much more efficient, it’s two or three orders of magnitude faster, which means it’s 100 to 1,000 times faster than classic relationional technology. It’s turned out to be a real diamond for us. It’s a fair question. What we started with was a business with revenue in the low millions. It wasn’t in the 100 million dollar range in revenue. It was really a project with some customers. We took it and now it’s in the middle double-digit millions. I can see us getting to $100 million with Vertica in a very short period of time. And there’s no reason it can’t be a billion-dollar business. Let’s wrestle with the situation at Autonomy a little. You just named a Robert Youngjohns to run it. Unlike Vertica the consensus here is that Autonomy was an expensive deal that hasn’t come close to meeting expectations yet. What do you see happening there? We just had a two-day planning meeting with everyone from Autonomy where we went through the current status and looked at where we’re heading. They key for us right now is to get fiscal year 2013 on track and that starts Nov. 1, so we’re working on that right now. Basically when you look at Autonomy, the core unit is the IDOL Engine, which is the unique capability of meaning based computing. We’re going to double down on that. In our labs in Cambridge, England we have 40 or 50 mathematicians writing algorithms. And we’re going to build a team here in the US to productize it and create a platform around it because it has that potential. Frankly the way Autonomy was managed previously, they put a lot more emphasis into enabling applications, which was fine, but our belief is that there’s a broad agenda, which is creating a platform around meaning based computing. So we will maintain those apps, but at the same time we’ll open up the capabilities to a broader set of players outside HP. It sounds like what Autonomy was doing was growing by acquisitions, and then creating a more vertical stack of applications prior to HP’s ownership rather than taking a broader more horizontal approach. It sounds to me like HP wants to make Autonomy more horizontal. Is the potential there? You’re Correct. And yes the potential is there. I asked Autonomy that very question about why they went vertical instead of horizontal and the answer that I got was that it came down to a difference of culture between the US and Europe. In Europe they tend to make things complex in order to create more value. For example, they saw the IDOL engine as too complex to just give it to people. Instead they thought they should acquire vendors and then create value by enabling applications. Here we take something that’s complex an we ask how we might simplify it in order to give it more scale for a bigger market. So some of that difference was cultural, and some of it was that I think they fell in love with these acquisitions. … We think Autonomy’s technology has broader implications. And to reach that potential we have to open it up as much as possible. And we’re also working with other organizations inside HP, PCs, printers, servers, to basically produce additional synergies. Are the teams ready and primed? Meg Whitman, your CEO and CFO Cathie Lesjak have made no secret that so far they have seen Autonomy’s ability to respond to deals that had been teed up by HP as lacking. Is that structure in place to address that problem? It’s not in place yet, but the situation has settled down somewhat. The processes are working. The reason is that initially we kind of left Autonomy alone, and then we tossed a bunch of deals at Autonomy. The initial plan was to keep it intact, have the HP sales force bring in deals, and everyone would be happy. One problems is that were too many deals, and second is that the deals weren’t well-qualified. So what we did next was put in place a management process around sales cycles at Autonomy. There’s been a lot of turnover there. Obviously the former CEO Mike Lynch left, but so did a lot of the people who worked with him. Does that hurt the institutional memory at all? No. Basically we lost the top half-dozen people. And you always expect that with an acquisition, especially with people who have grown up as entrepreneurs and will always be entrepreneurs. The remaining people running the products lines are still around, and so is the sales force. The development guys in Cambridge and Chicago are still there. Michael Dell has basically said he intends to keep growing his company by acquisition. Your boss Meg has said that we can expect no major acquisitions for the forseeable future at least until the balance sheet is in better shape. If there were going to be acquisitions, even small ones, I would imagine they’d be more likely to be in software. Is that a fair statement? I don’t want to say anything on Meg’s behalf. From a software point of view if there are tuck-in acquisitions that can help us develop our technology, I’ll go and request to do it. The cash we generate from software would cover us. So that’s the thinking right now. We need to learn as a business how to grow organically because that’s where the all the value is. At Silver Lake we did analysis on companies that grew by acquisition: Oracle, SAP, Microsoft, IBM and EMC and others. You find that their revenues grow and their profits grow. But what doesn’t grow, and what actually shrank from 2006 to 2011 is their multiples. Their valuations multiples shrank. What the market is saying is that just making acquisitions don’t add any value unless they create organic growth. That is how we look at it here. We’ve done a ton of acquisitions, so the task now is create more organic growth because that is what the market will value.